(UKWMS-6/9/2018) This year of 2018 is a special year for the Institute of Research and Community Service (or known as Lembaga Penelitian dan Pengabidian Masyarakat or shortened as LPPM in Bahasa Indonesia) of Widya Mandala Catholic University of Surabaya (WMCUS). It is special because it marks the 25th anniversary of the establishment of LPPM. The research and community service activities done by WMCUS staff have been going on for a long time and the findings achieved have been gradually mapped. “This is done so that research can be carried out in synergy and sustainability, and produce results that can be absorbed by users in academic field, industry and society in general,” said Hartono Pranjoto as the Chairperson of the LPPM. For WMCUS, the institutional track record of research activities and community service is needed for the development of teaching in order for lecturers to achieve expertise, increase work in the supply of textbooks, form research groups, or embody the center of excellence. The responsibility of LPPM in research activities to achieve all of these objectives is to facilitate the implementation of research or community service as well as visionary ideas for the benefit of the nation and the church. This exhibition of research and community service activities and visionary thinking is also a form of appreciation for the work of research and community services that have been conducted by lecturers in WMCUS that need to be widely informed to a wider user community. 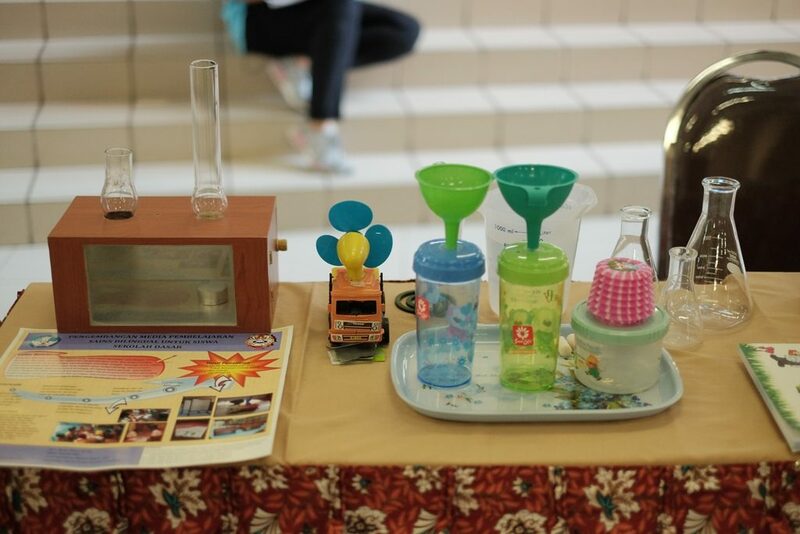 LPPM of Widya Mandala Catholic University Surabaya has conducted seminars and exhibitions showcasing the various results of research and community services for four times in the form of this Exhibition of Creations event. It has been a routine program activity for the past four years. This year’s Exhibition of Creations was held on September 6, 2018 at the Dinoyo Campus of WMCUS. This exhibition is also an opportunity for reflection so that in the future event, the academics can plan and develop forms of activities that are better show the real manifestation of the WMCUS motto, Non Scholae Vitae Discismus (learning is not only for the sake of studying, but also for life). Collaborative partners of WMCUS and the general public were invited to attend this exhibition so that they could be more familiar with the WMCUS as reflected in the work produced by the lecturers, students and educational staff. It is hoped that a constructive response through word of mouth could be obtained from the audience in accordance with the main theme raised in this event, which is “GETOK TULAR* of SCIENCE”. 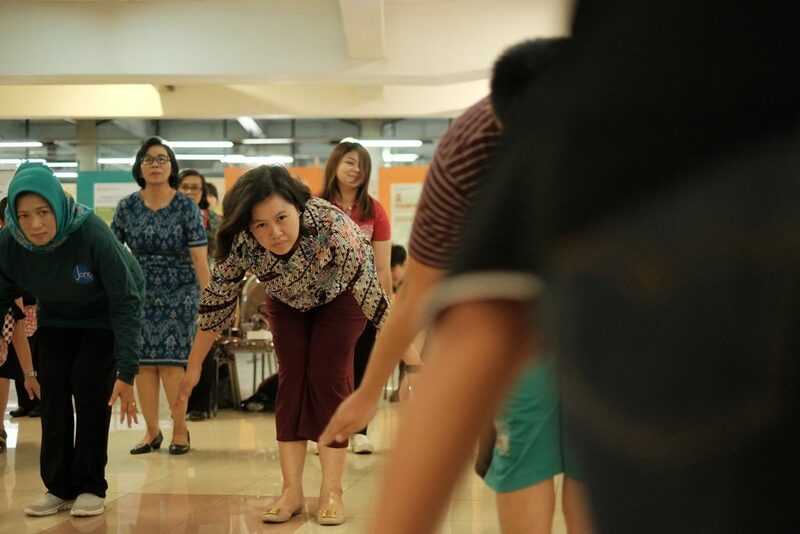 This year’s Exhibition of Creations is packaged in a series of activities, including training of an anti-stroke gymnastic exercise presented by Yesiana Dwi Wahyu, S.Kep., M.Kep., Ns., from the Faculty Nursing. Using simple movements that can be done by anyone, anti-stroke exercise is an exercise that ais easy to learn and do. Next was the training for the Early Childhood Education teachers in a presentation on how to make early childhood learning tools using used items. This workshop was brought by Dr. Brigita Puridawaty, S.Psi., M.Pd., as the Head of Study Program of the Early Childhood Education. 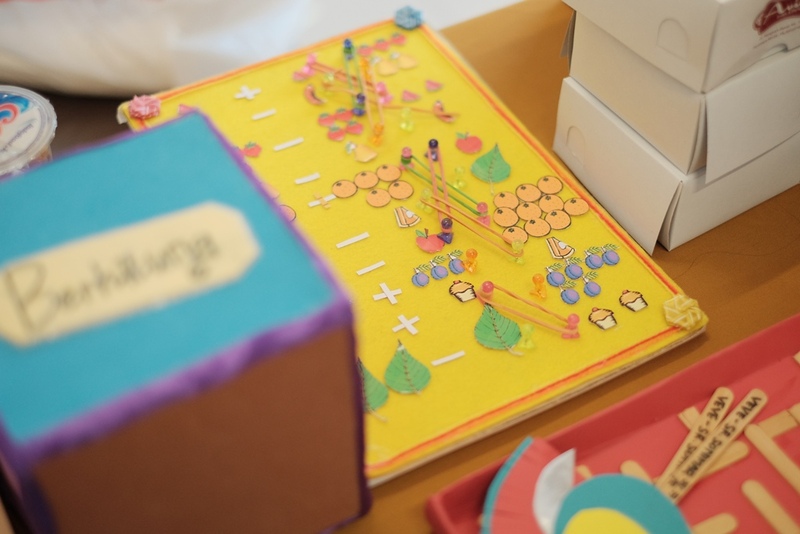 “These learning tools serve to stimulate the cognitive and physical developments of early childhood,” Brigita said. 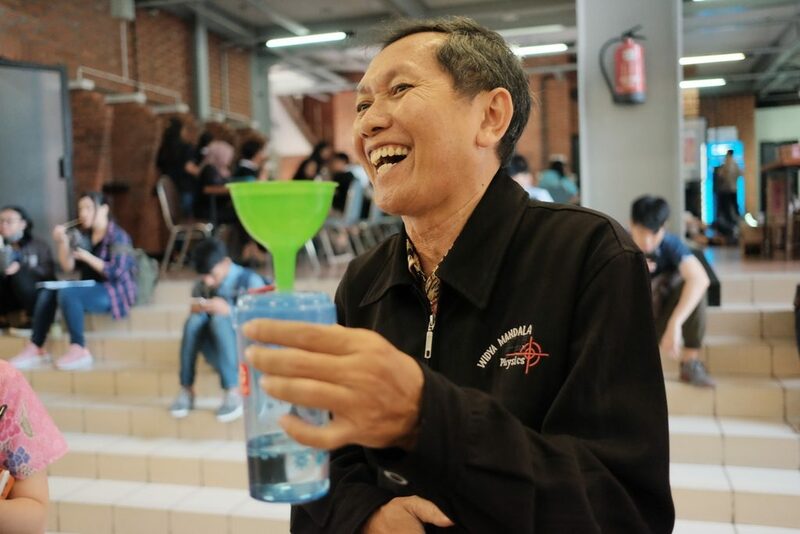 The training took place interactively with participants being involved directly in transforming recycled items to become teaching and learning tools. Meanwhile in the auditorium A301, a role-play was carried out by students to support the research material delivered by lecturers. The first role-play was carried out by students of the Faculty of Communication Sciences regarding the use of social media, especially Instagram, among students. 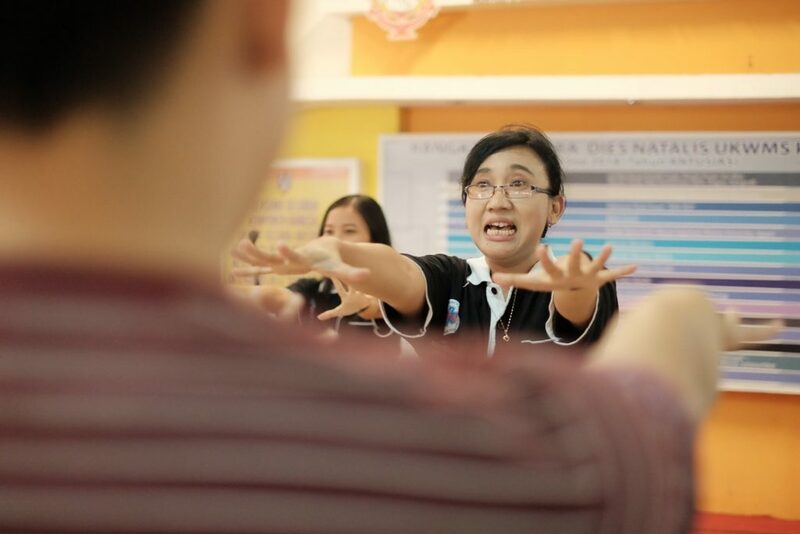 The next role-play is played by students of the Faculty of Nursing entitled Prevention and Treatment of Diabetes. Furthermore, it was continued by the Mini Campus Cinema with the screening of the movie Renjana along with discussions with Renjana’s filmmakers and actors exclusively. The Renjana film is about a girl named Renjana who lives in the ex-localization of prostitution area called Dolly. She wanted to change the stigma in the mind of many Surabayan people who think that every citizen living in the Dolly area has a bad behavior. After the screening, an exciting discussion ensued between the film actor, the students who produced the film (Reno, Dennis, Ivan, Dwiki and Gerardo) and the accompanying lecturers in making the film (Finsensius Yuli Purnama, S.Sos., M.Med.Kom. and Sylvia Kurniawati Ngonde, M.Sc.) with the audience. Starting from story ideas, choosing roles and locations, until the challenges faced in producing this film, they were all revealed and discussed. “One thing we hope for is to send the message that we should not “label” a person based on the place where he or she lives,” said Fins. 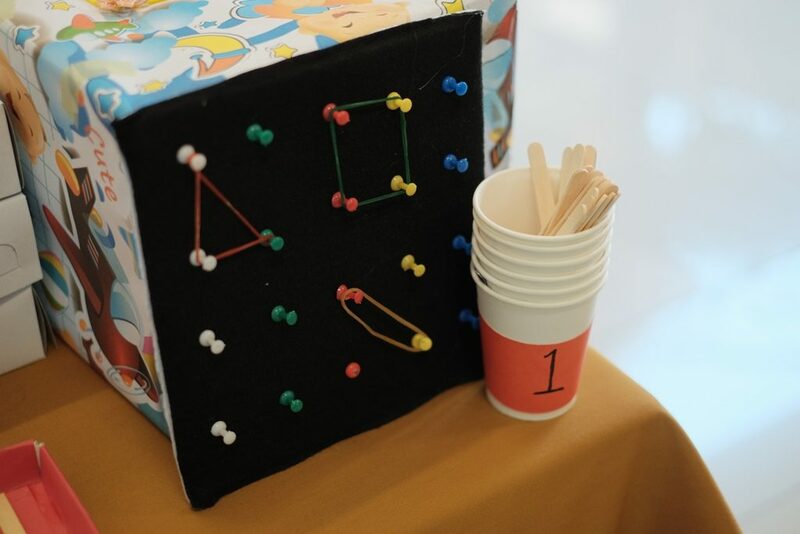 During the workshops and seminars, interactive services were also carried out in each stand provided where event participants could directly visit, allowing for interactive communication between visitors and the researcher or the main thinker behind each creation. The innovative work of the researchers on display this time involved a variety of natural science learning media created by Herwinarso, S.Pd., M.Si as a Lecturer from the Faculty of Teacher’s Training and Education in Physics, and some health drinks made from stevia leaf sweeteners by students and lecturers from the Faculty of Agricultural Technology – Department of Food Technology. “The specialty of this drink is its content which is rich in antioxidants and safe for those who have diabetes,” said Nerissa Arviana Tristanto, S.TP as part of the research team. In addition to, there was also an infographic poster exhibition exhibition that was deliberately packaged visually interesting so that ordinary people could easily understand the research conducted by researchers at WMCUS. This whole effort did not stop at the exhibition because, on the same day, the LPPM in collaboration with the Faculty of Nursing Faculty also held a free medical tests (gula darah, tekanan darah, asam urat) for the public. Hartono explained, “Getok Tular of Science is a work title that is expected to be a means for scientific communication that facilitates a way for researchers to disseminate their research results to the public. *getok tular is a terminology in Javanese language which means ‘a word of mouth’.